I have been following the developments in our sangha with dismay and alarm ever since the samadhi of my diksha Guru Srila Narayan Maharaj. 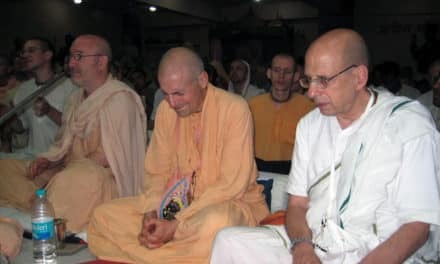 First, the whole sangha was shocked when no successor acharya was announced because it flew in the face of everything Srila NM stood for, especially his corrections of the ISKCON GBC deviations as not following proper Vaishnava parampara. 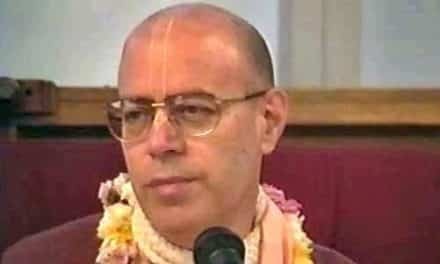 And we were presented with him as the true successor acharya of ISKCON. Well, I started to debate with them since we have been against GBC for so long, it didn’t even make sense. And this was all being propsed to us by Brajanath Dasa who I don’t even like, because if he is a senior Vaishnava, how come he is not learned in Shastra? how come he says things like having all the sanyasis become independent initiating Gurus is harmless? And didn’t we who took shelter of Srila Narayan Maharaj do so trusting that this was Gaudiya Math and not like corporate ISKCON, and not like the 11 zonal acharyas and then the 100 or 1,000 rubber-stamped gurus and now, we are worse! But even that…even that is not the worst of it. Then suddenly one of the senior Sanyasis, BV Tirtha Maharaj is promoting a senior brahmachari Srimad Premanande for the chairman position in opposition to Brajanath’s proposal (he says from Srila Gurudeva’s mouth) of BV Madhava. Okay, that even is a small thing. All these alarming developments are small things. Now they have Paypal accounts. Separate accounts in (nobody know’s whose name) for all these projects and things like fancy memorial Harmonist Magazine production (when subscribers already are paying a fee for it, why do they need donations to cover the cost?) And now they have Paypal account to take requested donations of $25 or $50 (I’m bankrupt btw) to send in to cover all the costs of the prasadam for Parikrama. they admit 1,000’s will attend but only expect a “few hundred” westerners. Someone asked the Maharaj why this extra donation was needed since the attendees will already be paying a fee to attend the event. I was on Facebook and I watched as this comment immediately got deleted and a long, windy explanation given about how the worldwide sangha is asked to contribute, how the 2,600 friends of the Maharaja, raising approximately $130,000 will feed the poor starving Bengali’s who attend and don’t want to be disappointed in their memory of Srila Gurudeva. Even THAT is not the most alarming thing. This is. And I have not yet recovered and can barely bring myself to write to you. Since Srila Narayan Maharaja’s disappearance, we have been receiving articles about “communication” “relationships” “harmony.” All of a sudden, it’s the only thing we are reading. there is no Hari-Katha, only this…relationship stuff. And that is fine. After some complaints on the forum (largely from myself) demanding they explain the parampara and precisely where Srila gurudeva said every sanyasi can become a diksha guru….we are informed the seniors are writing a position paper. We don’t even know what is the mission statement for the new society! We don’t even know who is the chairman! I guess they will vote on that when they have their first meeting. So, one of the senior sanyasis, BV Nemi Maharaj has been writing all these relationship articles. And it’s all seemed positive. Initially, the new process involves the following aspects. Local groups of two, three or more devotees are committed to taking part in the process. 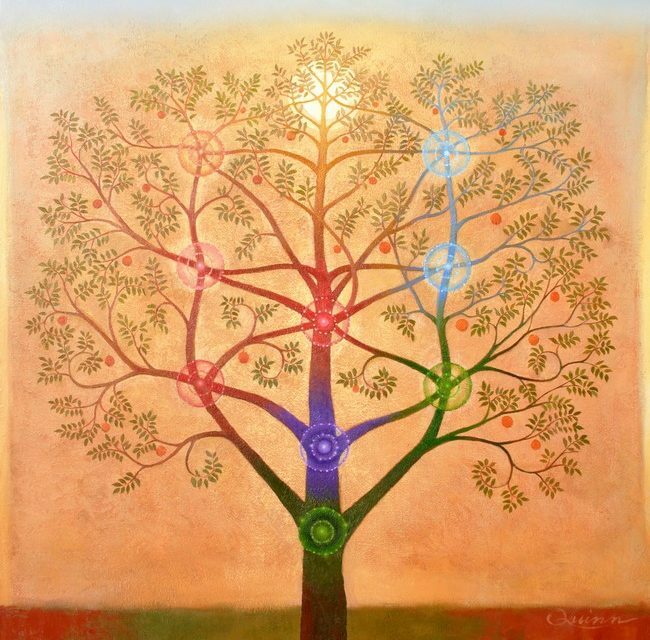 They discuss the framework amongst themselves, and begin to act within it. We need a means of communication between the groups, for association, encouragement, and to ascertain what is working and what does not work so well. This means of communication will presumably be over the Internet, and may well include exchanges through Skype or some other audiovisual means of communication. The central coordinating group takes responsibility for the project and facilitates its stepwise development; supports the local groups and facilitates exchanges between them; collates and digests information from the local groups; collects external resources; forwards information to the local groups; and consults with the local coordinators to find out about the process, progress and needs at the local level. Each local group has a coordinator who communicates with the central coordinator/coordinating group and with other coordinators. Coordinators are not in any sense managers or directors. Their function is simply to relay information and moods within the project as a whole. Okay, so you can see, they don’t even have any plan even by January, of how to lead this sangha. And what they are presenting is very juvenile, like what a college freshman would learn in a basic course. Suddenly, the only people who are really putting up directives to the sangha are all about relationships and communication workshops. 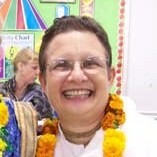 And we get articles like this, “A Paradigm Shift,” by by Srimati Syamarani dasi. There it is. We’ve been completely hijacked by the Satvatove Institute. Completely. “These workshops are really good, excellent in fact; and many devotees get a lot of growth, relief and improvement in their lives as a result of attending them, and they are very thankful they attended. Holy Salesmanship! What happened to Hari-Katha? 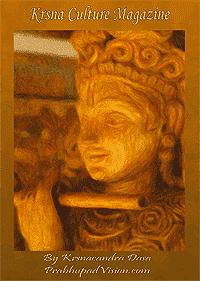 What happened to the gopis Divine rupanuga rasika bhakti? “Braja Mohan has a rich experience working in the corporate and private sectors as a Senior Level Business Advisor, Facilitator & Master Trainer, Performance Coach, facilitating Organizational Learning & Development. Senior Consultant driving business outcomes through culture and organizational transformation, leadership effectiveness, B2B sales effectiveness, change, strategic engagement, building high performance teams, creating winning culture & sustained superior performance, developing next level leaders, managers, and facilitators. Braja Mohan has broad experience at diagnosing, designing and delivering solutions that produce sustainable organizational results. Now seriously, my mouth dropped. WHY would a mayavadi guy who is a paid consultant for the United Nations and Deutche Bank be leading seminars for Srila Narayan Maharaja’s little group, when our most senior sanyasis can’t even get a roomful of 20 people in SIBERIA to listen to their Hari Katha? I mean, it’s just so off the wall that the only thing our movement is about now…is psychology? I mean, I could go back to college and take all these courses in freshman year if I thought that was the solution to the world’s problems…Seriously, I was informed that Srila narayan Maharaj was the successor to Srila Prabhupada, and I KNOW for a fact that Srila Prabhupada’s movement of Krishna Consciousness was not about this fee-based mayavadi self-help garbage, or privately owned businesses and corporations owned and operated by David Wolf (Dhira Govinda Das) of Satvatove. “Suggested donation: 550 Rupees (or more, as you like). You know the Satvatove workshops go for $950 USD. Why is such a capable man, like this Braja Das, who is paid consultant for BILLIONAIRE corporations accepting peanuts from a handful of Hare Krishnas? And to teach them what? How to be successful business executives? And our senior Vaishnavas, who cannot seem to say anything else other than become advertizers for the “new paradigm” of Srila Gurudeva’s movement, and take a backseat while they teach us all how to do Vaishnavism right. DEMONS and SCOUNDRELS are imitating Vaishnavas. This is something evil afoot. Maya wants to control and destroy any movement or message of Krishna Consciousness in this world. My plan now is to take shelter of Srila prabhupada’s books and Srila Narayan Maharaja’s books, and because Srila NM said that Srila Prabhupada was the senior and the foremost Mahabhagavat, His books will take precedence and seniority even though I am diksha disciple of Srila Narayan Maharaj. But I WILL NOT take shelter of these Vaishnavas and their Oprah Winfrey Self-help Mayavadi asuric psychologists. Now I do understand the Ritvik position, that in the absence of the Mahabhagavat, there is no one in the world to take shelter of. Srila Narayan Maharaj was my link to Srila Prabhupada, and I take shelter of Him and His Krishna Consciousness movement. We had a very sweet sangha. But now I do not know what we have.